BELOW ARE TWO PARIS FLEA MARKET FINDS. 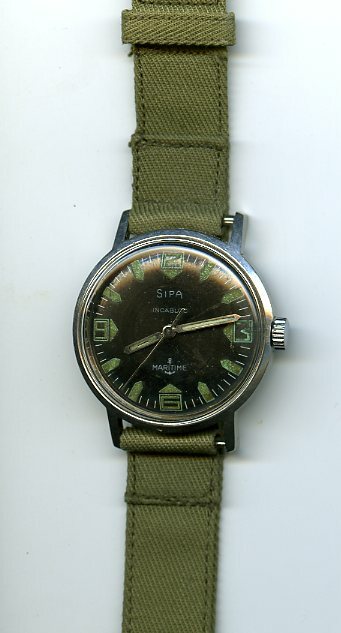 THE FIRST IS A CIRCA 1950'S MARITIME WATCH WITH A DEAD STOCK WWII CANVAS HAMILTON BAND. 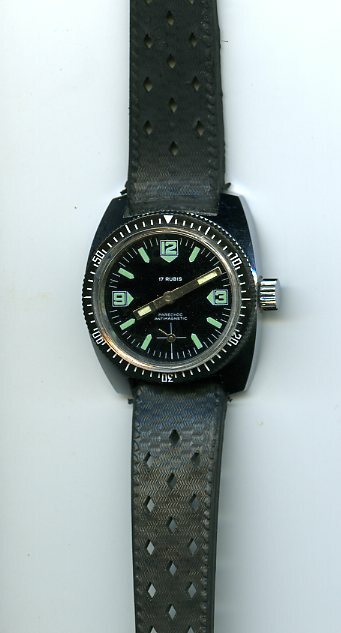 THE SECOND IS A LADIES SIZE DIVERS FROM THE 1970'S OBVIOUSLY TAKING SOME DESIGN QUES FROM THE LATER.